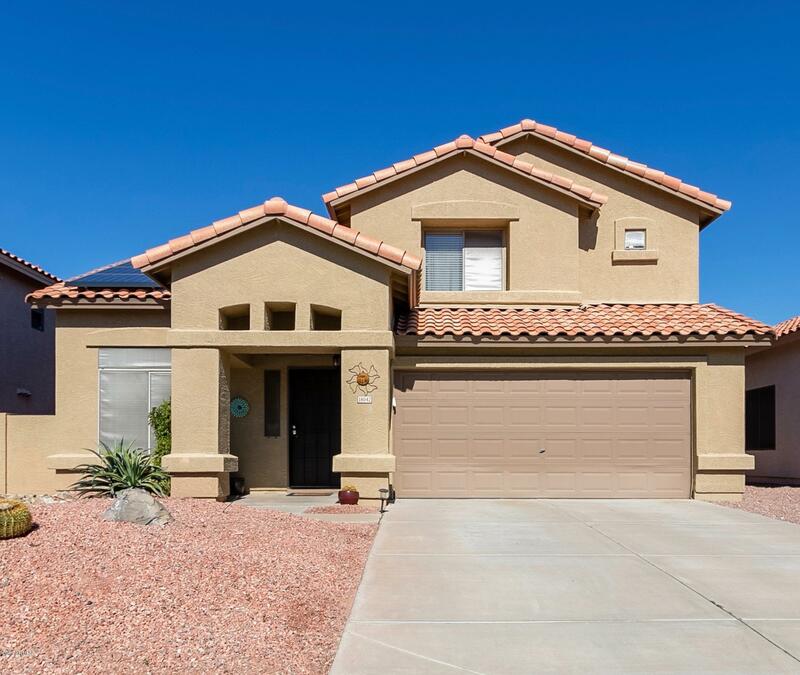 Located in the award winning community of Estrella, this beautiful two story house is conveniently located within walking distance of the North Lake, Starpointe Club, and the Estrella Mountain Market Place. This home features a beautifully remodeled kitchen with included stainless steel appliances, walk-in pantry, recessed lighting, and a center island with plenty of cabinet space for storage. The 10' wide sliding patio doors allow you to gaze upon the incredible mountain views. The newly installed AC/Heating unit, reverse osmosis drinking water system and home water softener are a much needed addition to any Arizona home. Schedule a home showing today to view this exquisite home for yourself.